Come join us for our 3 day rally as we talk about how life can change in an instant. 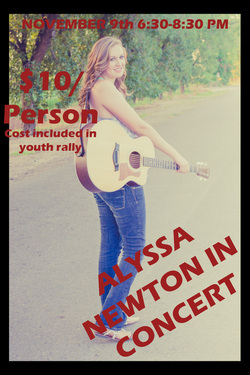 There will be food, classes, and a concert by Alyssa Newton. Cost of the rally is $20/person and includes all events, 2 meals, and a t-shirt. Housing provided for out of town guests.